March 18-22 is Agricultural Literacy Week in New York State. A Fun Agriculture Crossword Puzzle and Word Search And a Kid-Friendly Recipe to Try at Home! 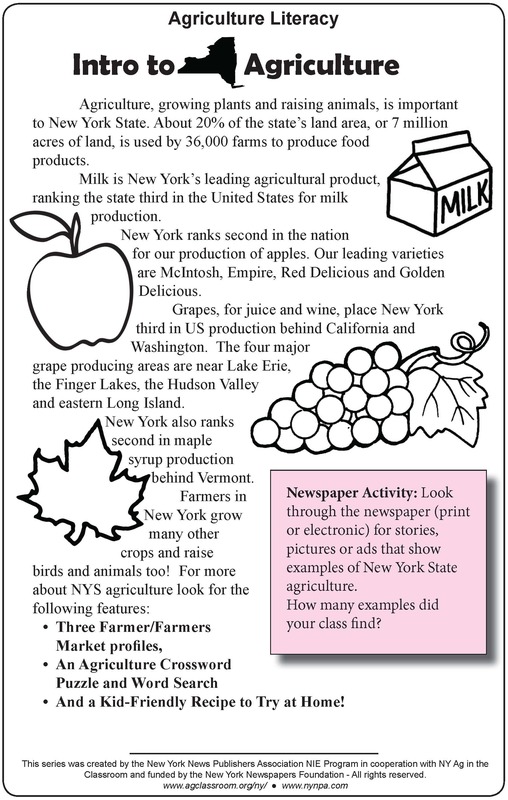 These resources were created in partnership with New York Agriculture in the Classroom and were designed for use by teachers with students in grades K-4 to help increase the awareness, understanding, and appreciation of New York State agriculture. The materials include 7 features, and a set of graphic organizers in PDF format. 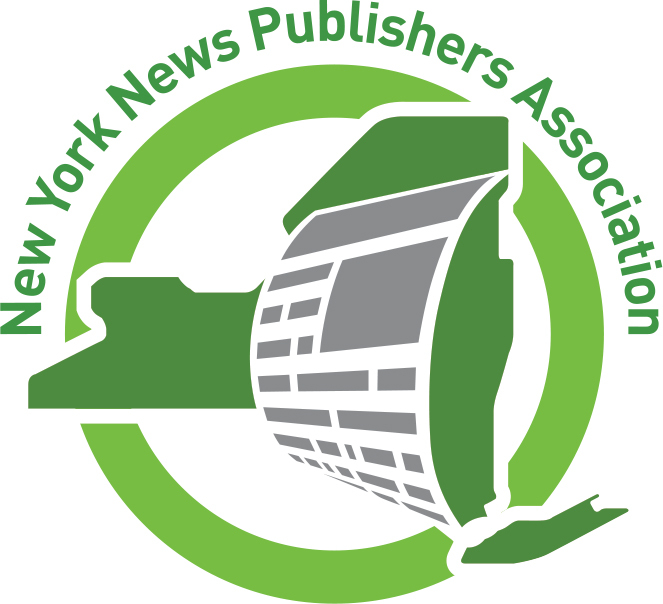 New York News Publishers Association member newspapers are welcome to incorporate these materials into their NIE program free of charge. All other users are informed that these materials are available for nonprofit educational research/teaching/scholarship purposes only. Anyone is welcome to share these materials by adding a link to your own website(s), although full framing is not allowed. Permission for printing multiple copies must be obtained from NYNPA. Copyright is held by the New York News Publishers Association. Click here to download all seven features and here to download the complete set of graphic organizers with an additional list of web resources and answer keys for crossword and word search puzzles. Click here to download all seven features and here to download the complete set of graphic organizers with an additional list of web resources and answer keys for word search and crossword. click here for Ag Literacy Week content for 2018. If you have any questions about this project or for more information about Newspaper In Education programs contact Mary Miller via email or call 518-449-1667.